Updated: 27th February 2018. 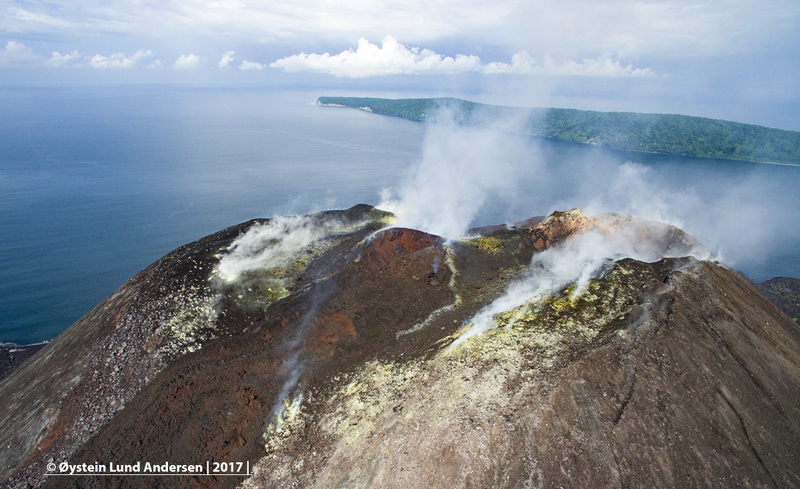 I firstly thought that the cone in the crater may have been a lava-dome, but in consultation with experts in the field, I now have described it as a spatter-cone. Text below was updated in line with this. 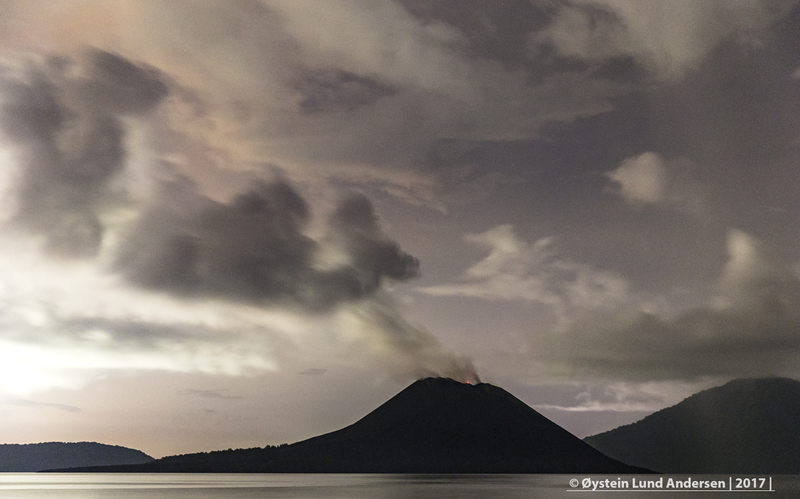 On arrival at Krakatau in the morning of the 25th February traces of the February eruption was seen observed. 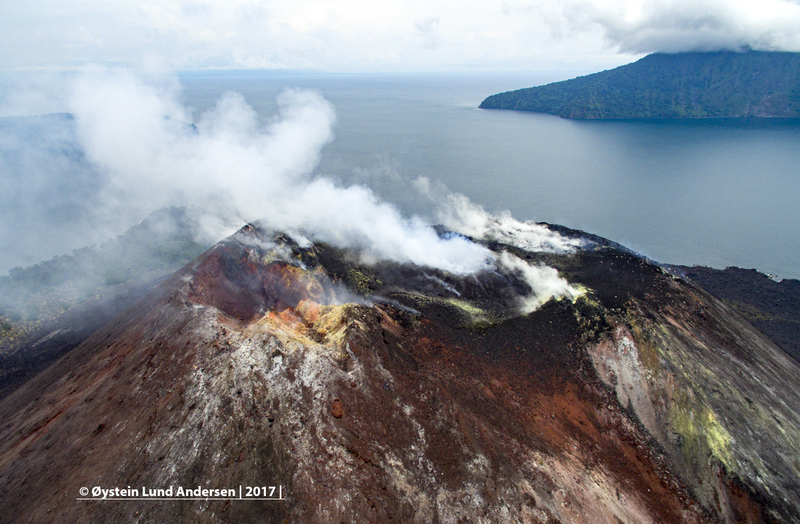 The eruption have resulted in a new lava-flow on the SE flank, exacly at the same place, as the September 2012 lava-flow (see photo no.1). 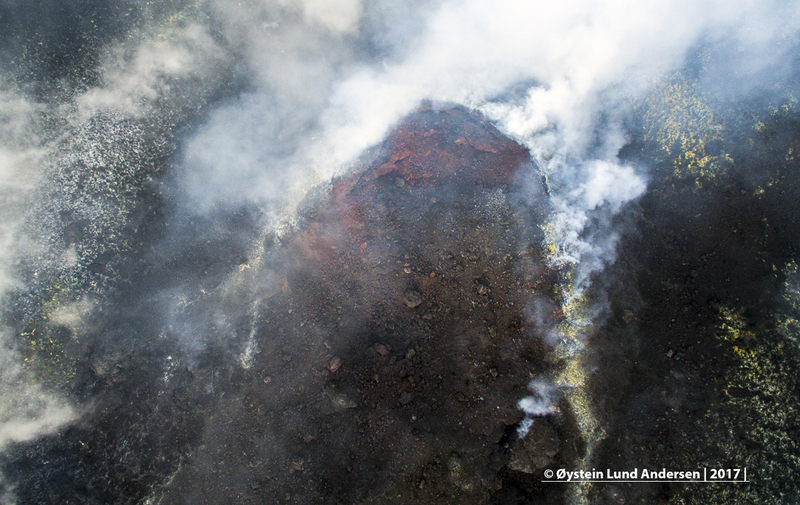 The new layer of lava-flow is black, compared to the red color of the 2012 lava flow. 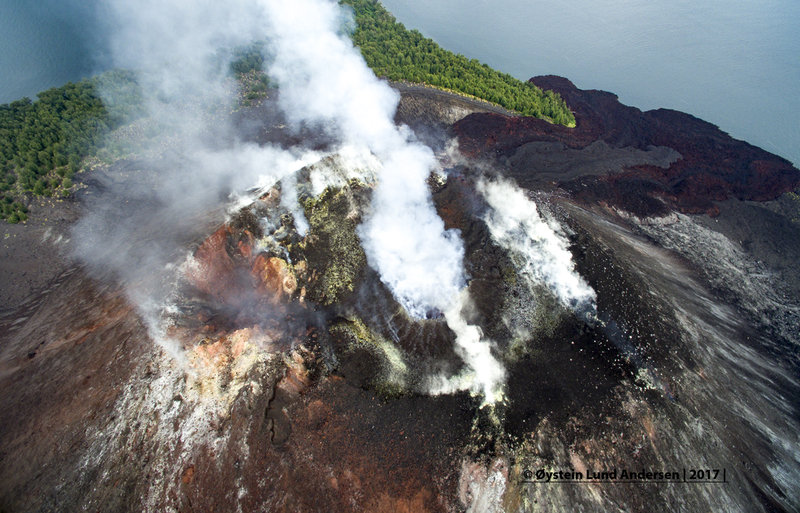 The lava flow has cooled down since the material was deposited. 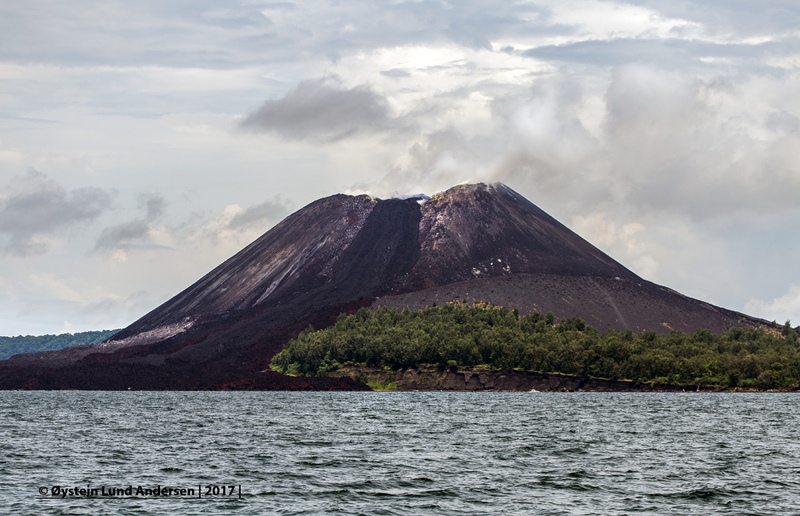 Fresh volcanic blocks were also seen distributed on the SE, S, E flank of Krakatau. 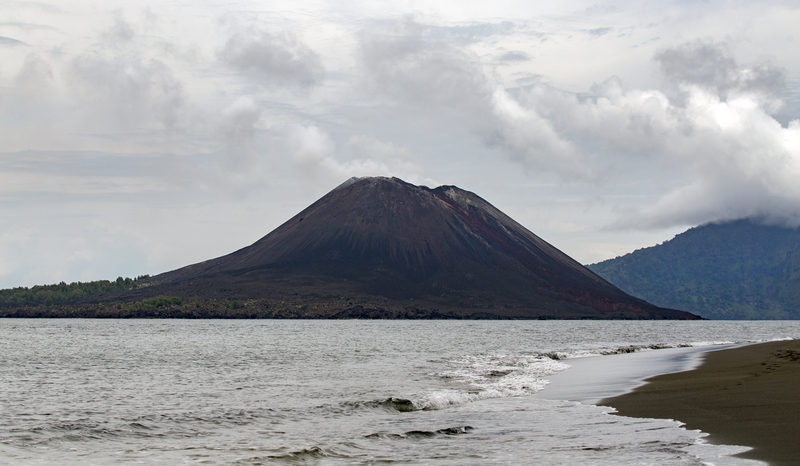 During my visit no eruptions of ash were observed. 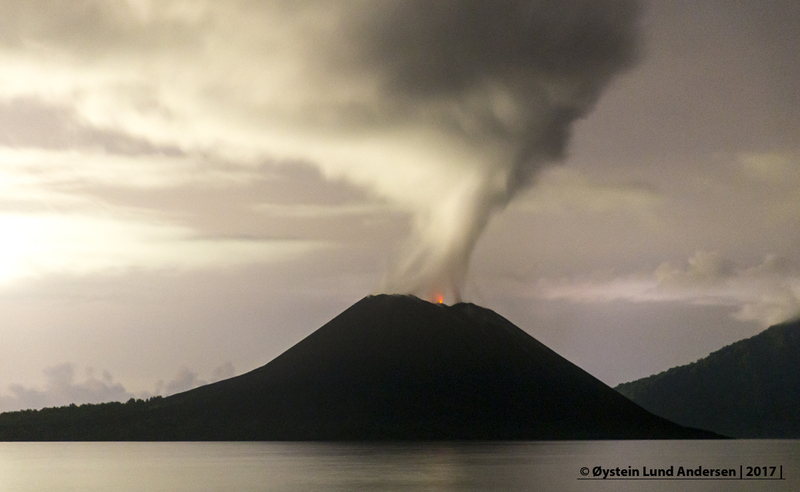 Anak Krakatau emitted a medium strong plume of gas, that incresed somewhat in strength on the 26th February. 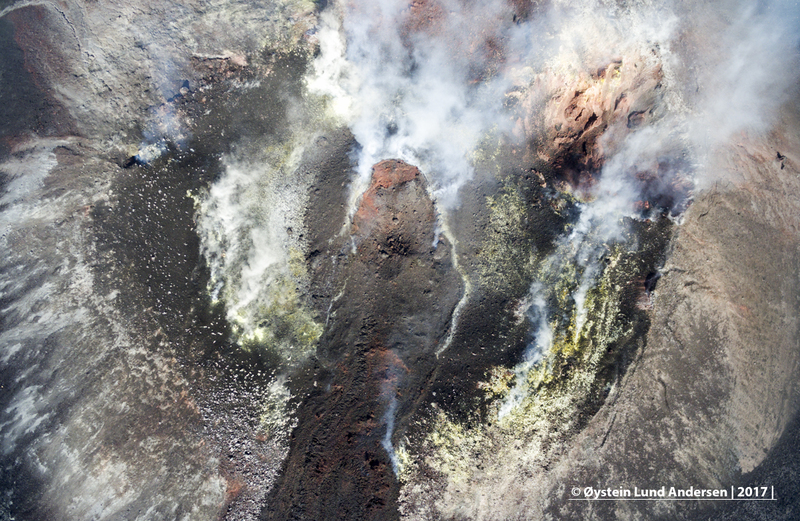 After having studied aerial views of the crater area, it seems that the source vent of the new lava-flow, is the same vent (main, central vent) that was involved in the 2012 eruption. 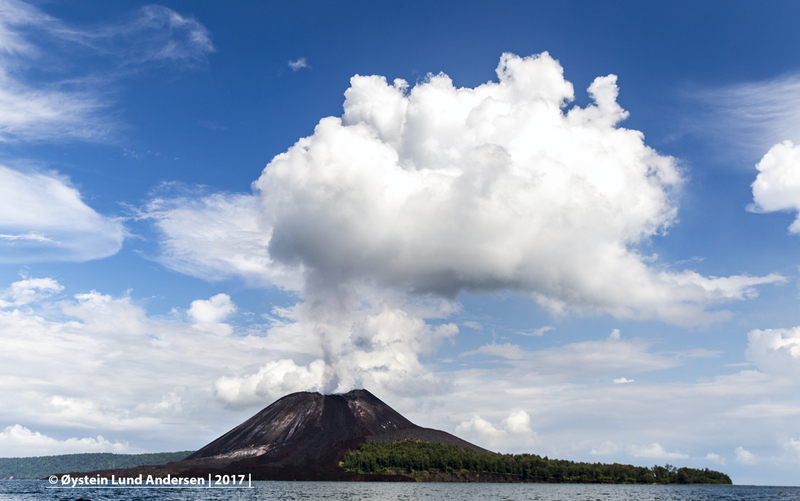 On the top of the vent, it now seems to be a lava-dome spatter-cone (see photo no.2). 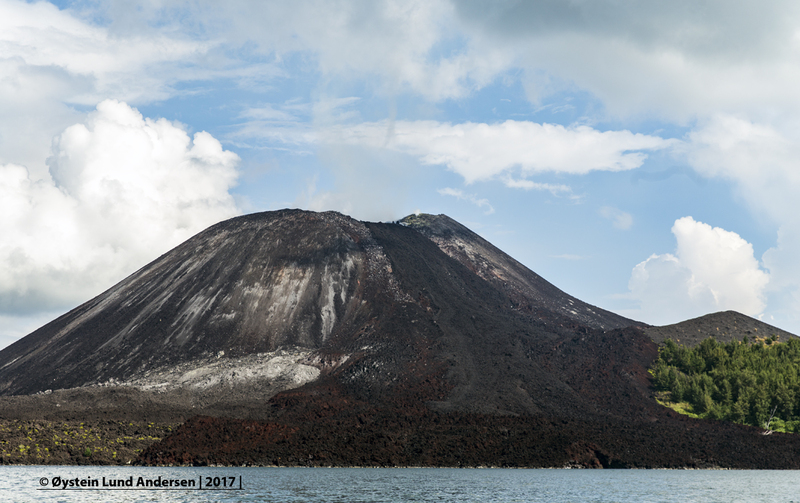 I also made a illustration to show the difference between the crater area of Anak Krakatau of October 2015 vs today. From the illustration it is easy to identify the spatter-cone. (see illustration no.2). 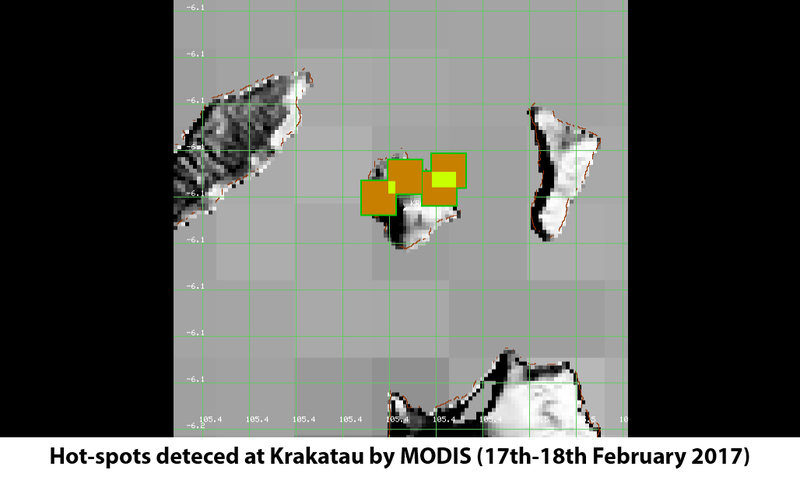 Daytime observation showed focused gas emissions around the vent/spatter cone. 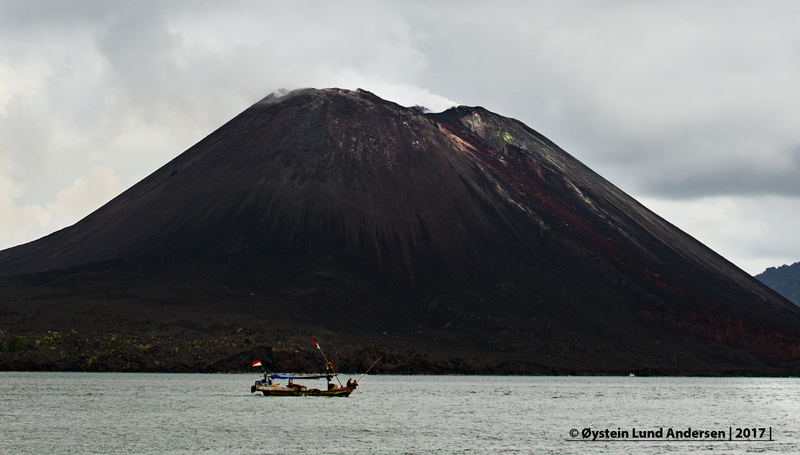 The spatter cone was visible from Verlaten isl. 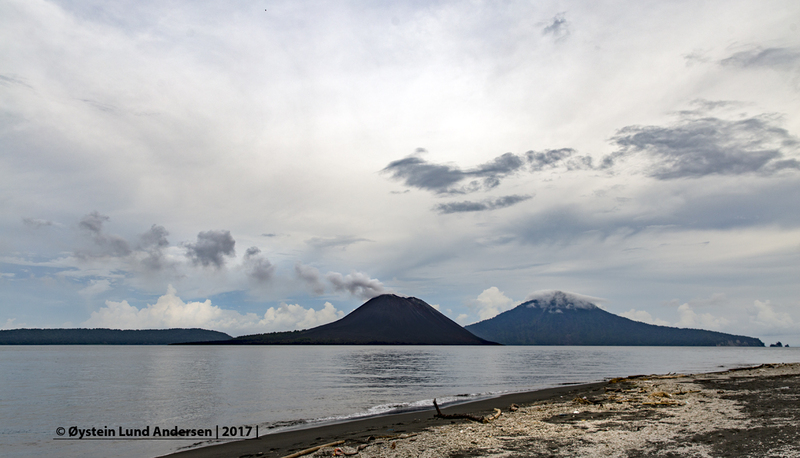 3km away from Anak Krakatau. 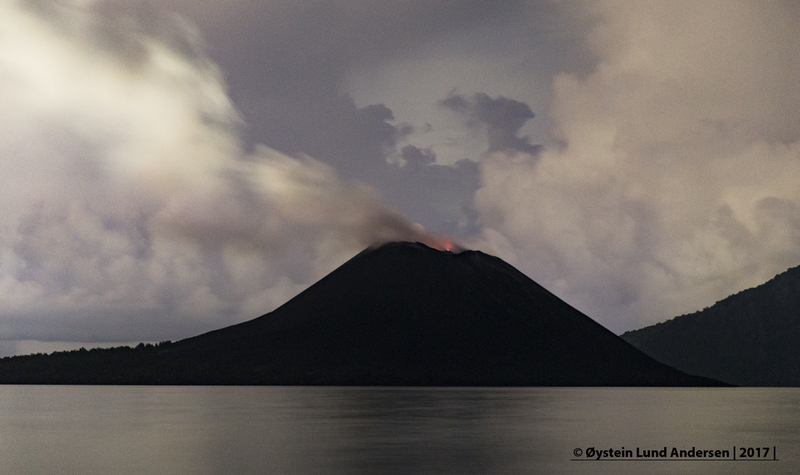 Nighttime observation from Verlaten isl. 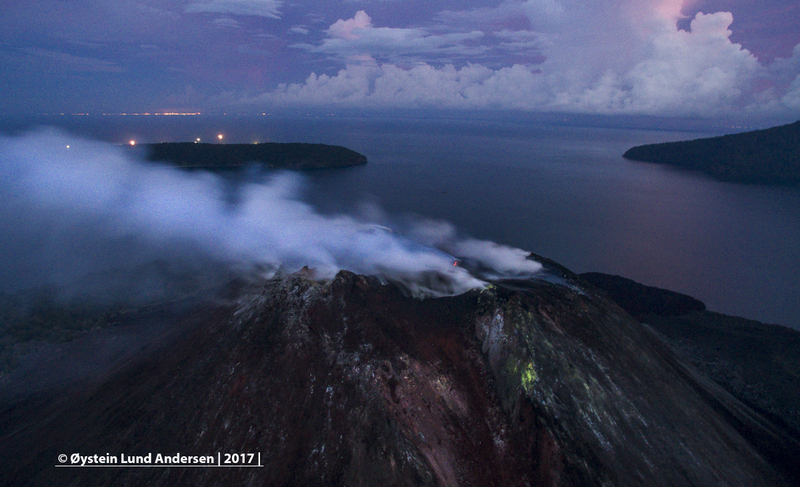 and aerial observation from above the vent, showed incandescence from the cone. 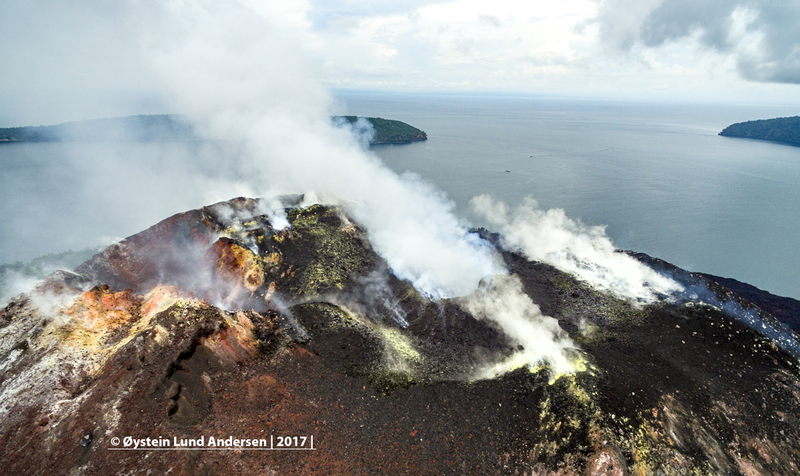 The area containing incandescence was however small. . From the physical shape of the cone, it looks like the spatter cone may have made during the last eruption, that resulted in the new lava flow. (see photo 3). 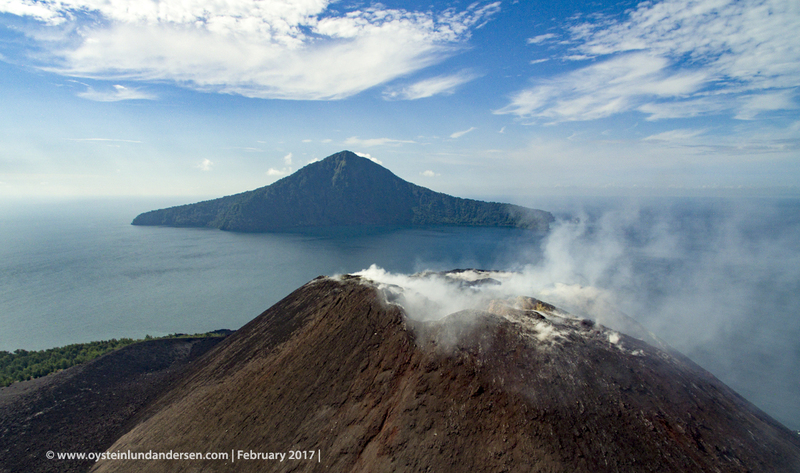 The main crater and summit area today seem to be of a more complex and dynamic character than it was before the eruption of September 2012. 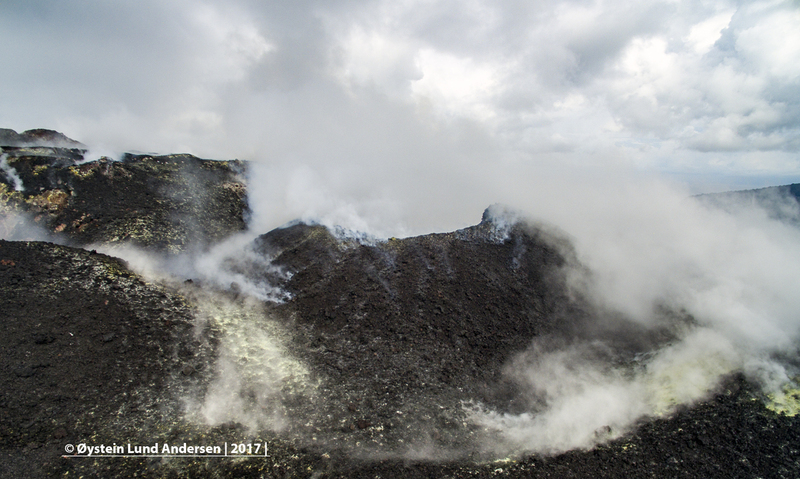 From footage of 2010/2011 the main crater was seen to be broad and fairly deep. 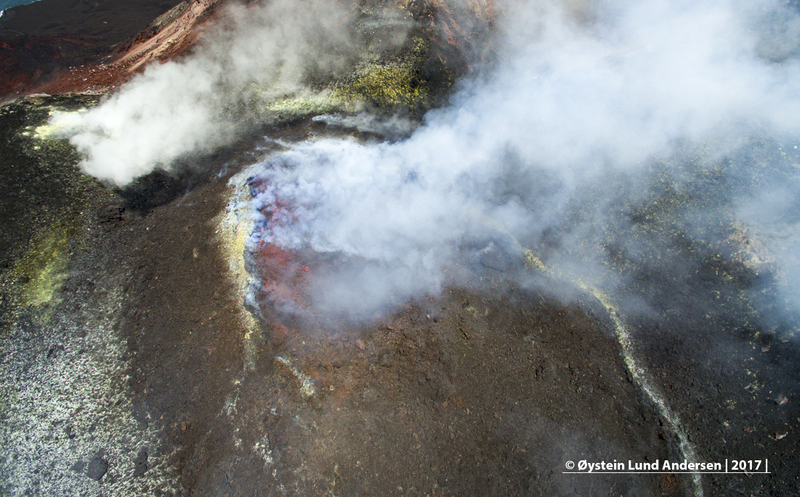 Now the main crater is filled with material, with two lava flows originating from this vent running down on the SW and E flanks. 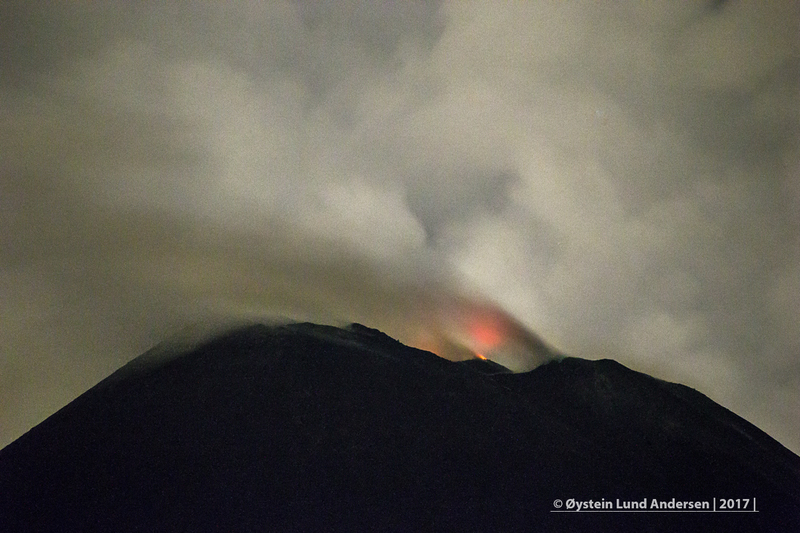 On the northern side of the summit a eruption vent is also clearly observed. (see photo n.4). 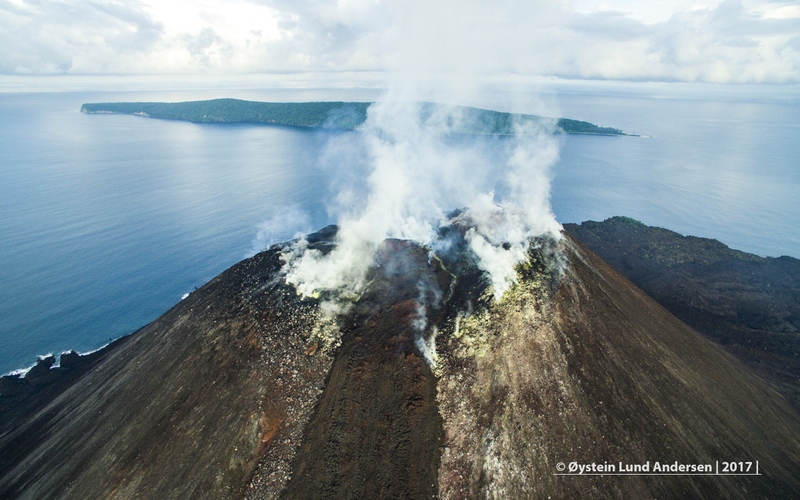 This vent was most likely involved in a eruption in March 2013. 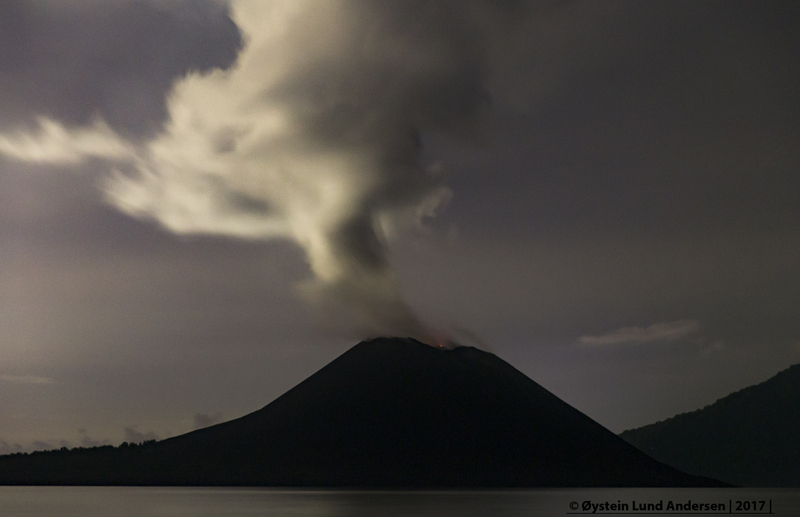 Note: This is my own table of records, other eruption events may have occured that Im not aware of. 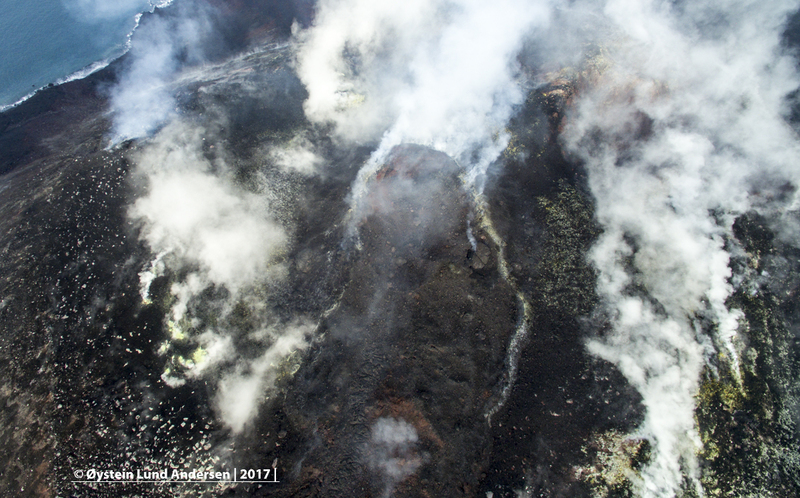 Photo no.1, shows the lava flow of February 2017, on top of the September 2012 flow. 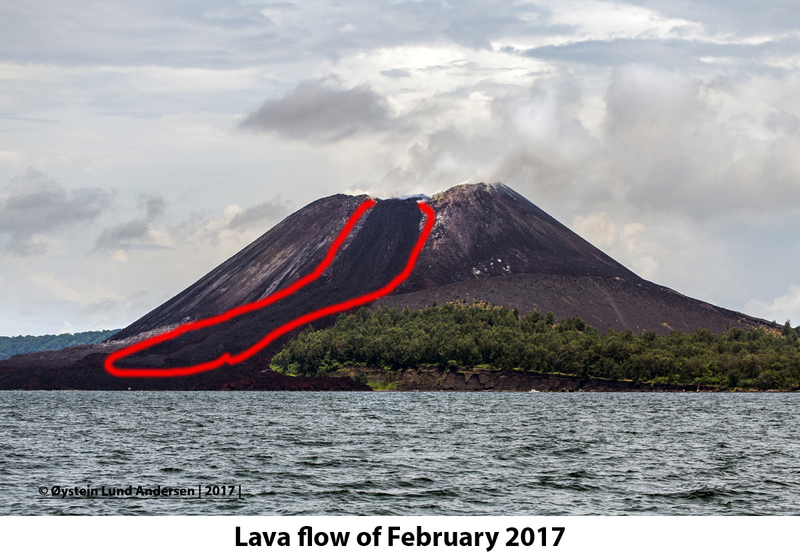 The 2017 is distinct black, compared to the red color of the old lava flow. Illustration no.2. 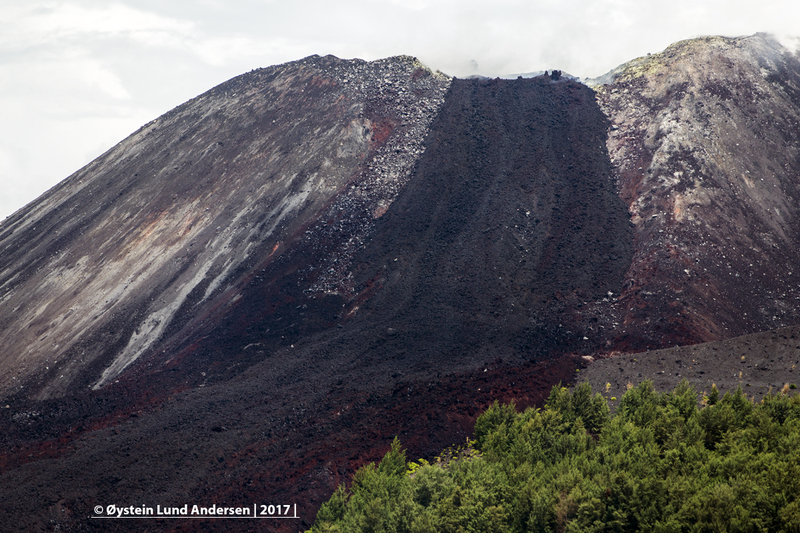 Summit area of February 2017 vs 11th October 2015. Photos: 26 available in this article. 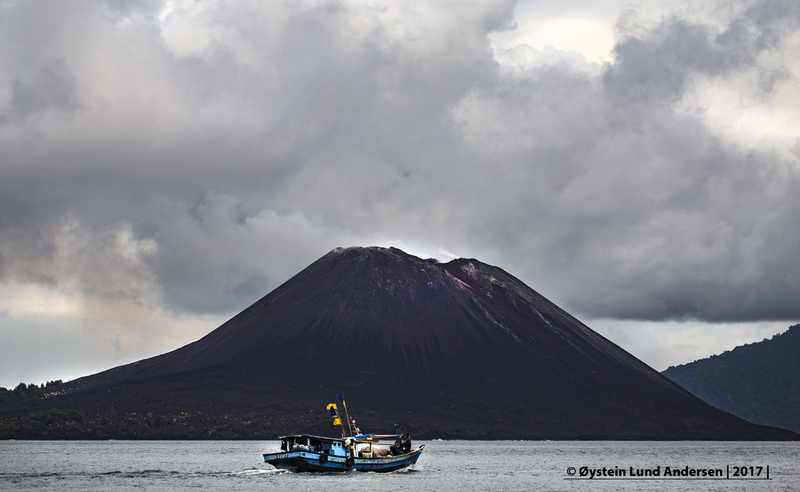 in format/size: RAW/DNG. 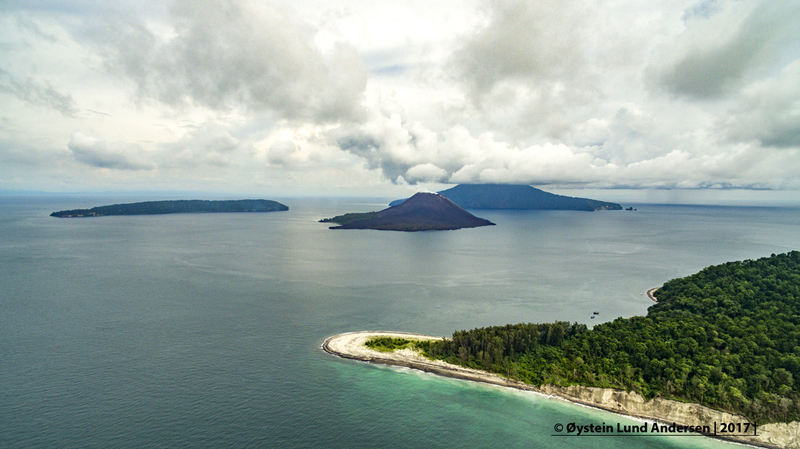 More than 400 photos, including 100+ aerial photos not posted online. Video: 1 video available on website. in format: HD 1080p. 1 hour aerial raw video not posted online. Click to open video (youtube), please choose HD 1080 quality for best viewing. 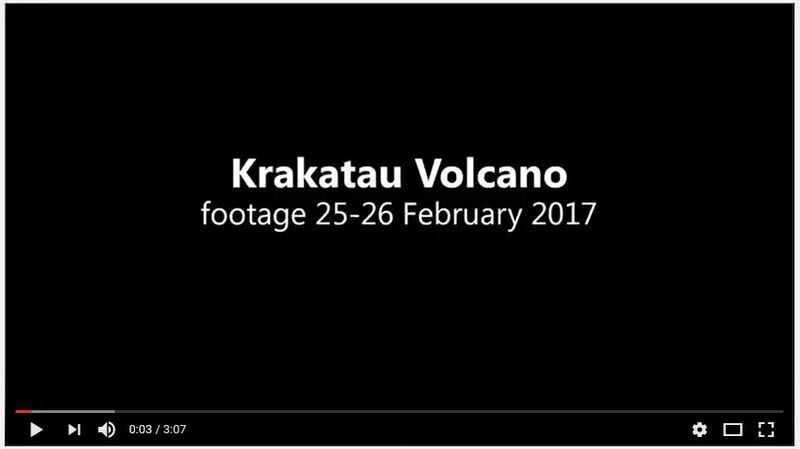 Video footage was collected 25-26th February 2017.